Follow the White Bunny: Ready for some...Christmas Stitching ? 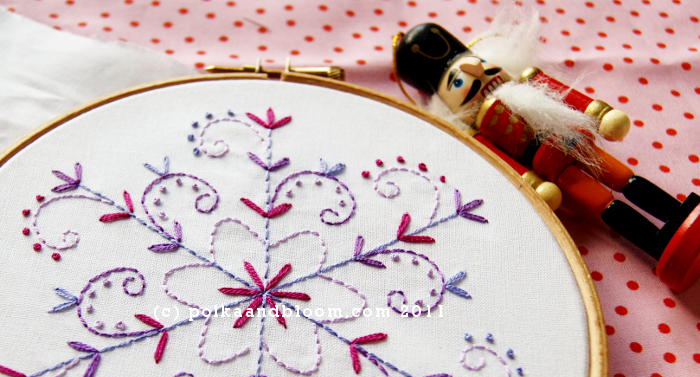 Ready for some...Christmas Stitching ? I can't believe it's October already! It has been crazy warm weather here the last week or so which is very unusual for this time of year. Still the calendar says it's only 85 days till Christmas! 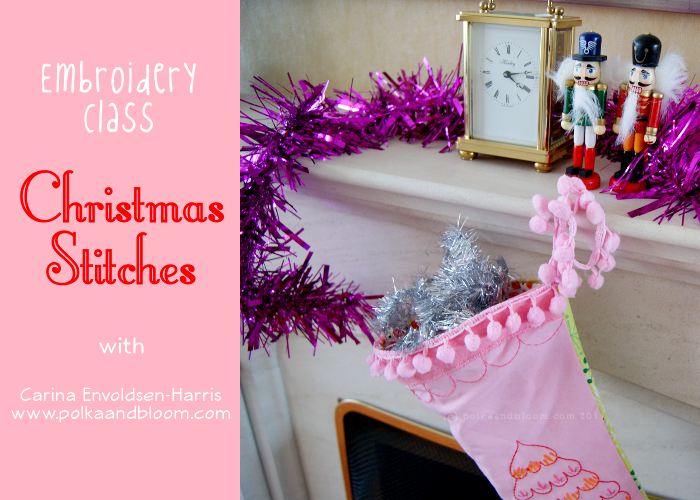 Therefore I thought you all might be interested in the 'Christmas Stitches' Embroidery Class my Feeling Stitchy colleague Carina (of Polka and Bloom) is offering. The class starts on October 17th and runs for 4 weeks, ending on November 13th. In the weeks before the class starts, you will receive a list of materials needed and a link to the class site. A Christmas stocking, ornaments, a brooch and various patterns will be among the projects included in the course. All in Carina's own wonderful unique Scandinavian inspired style.You can find more information and sign up for the class here. The great thing is that Follow the White Bunny readers get a special discount! Mention "Snowbunny" when you check out with Paypal to get a 10% refund. Valid until October 9th. That's pretty cool, right? It's hard to believe Christmas is so close. I need to get out of my summer mind frame and start thinking about Christmas crafts. Thanks for the reminder.